You’ve found the perfect property to expand your business, and a cursory look at the premises doesn’t unearth anything troublesome. All the structures appear sound, the land is tidy and your finances are ready to go – time to sign the contracts, right? Not even close. Once you’ve put your name on the dotted line you are legally bound to purchasing the site, and will incur hefty penalties if you back out. If you want to protect your finances, it’s vital that you know exactly what you’re about to invest in, even if it looks great on the surface. Unless you’re a qualified surveyor, it’s unlikely you will be able to thoroughly asses the property. Recruiting a professional commercial surveyor will offer complete peace of mind, and equip you with the knowledge to confidently proceed, re-negotiate or walk away from a deal. You might feel confident that any troubles with your property are already exposed, and easy to deal with. Keep in mind that hidden surprises are usually the most unpleasant (and costly) to deal with, so hiring a surveyor to unearth them early on can be a huge saver in the long term. Common problems to pop up after sale include subtle subsidence, land contamination and damp or rot – all of which can be time-consuming and expensive to manage and rectify. Sellers in the UK are under no obligation to reveal serious issues with their property, so the onus is on you to uncover them for yourself. What happens if the land and buildings aren’t concealing a bank-breaking issue? It might seem like paying a surveyor to give you an “all clear” is an expensive green flag, but can you put a price on peace of mind? Knowing the precise boundaries of your property can be quite low down on the list of priorities when you first take ownership, but troubles can quickly escalate when your neighbours start encroaching on what you believe to be your land – especially when they are certain it belongs to them. Whether it’s a simple fence or an entire road, it’s important to clarify what land is rightfully yours as soon as possible. This is the easiest way to work out at a legal solution between your neighbours, and prevent them making future claims to your land by adverse possession (asserting ownership down to long-term undisputed use). In some cases there will be existing agreements about allowing certain parties access, but these should be uncovered by your solicitor’s searches. Many property buyers still believe that the mortgage valuation will raise any issues noticed with the buildings, but this is simply not the case. The valuation is exactly that – an estimate of what the property is worth, to ensure the bank can reclaim their losses in the event that you cannot repay your loan. 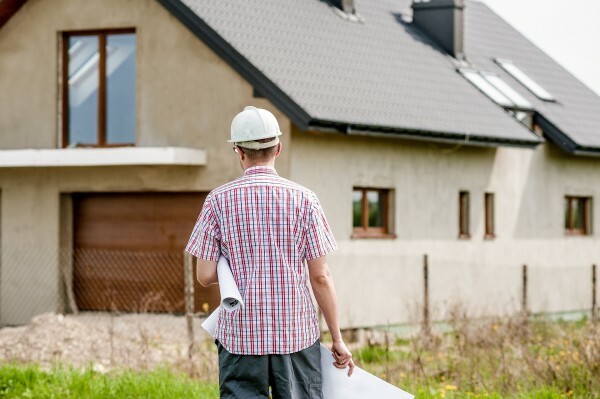 Commissioning a proper survey will tell you the actual market value of the property, as well as highlight any faults that could affect the value of the land or structures. Not only are you made aware of any problems, but you are also equipped to use the costs to repair them in your negotiations with the sellers. Some surveys will go one step further than assessing the condition of the site, and make recommendations with cost estimates. These can be used to negotiate the price of the property with sellers, but also as a guide when dealing with the trades who will be carrying out the work, potentially saving you more money later down the line. It depends on the type of survey though, so discuss your needs with an expert surveyor like Bradley Mason before you decide. Rural Surveyors: Experts at valuing countryside property and assets, such as farms and agricultural equipment. Environmental Surveyors: Their focus is on identifying contaminated land, and whether certain structures on the property are contributing to this. Building Surveyors: Can tell you about the design and structural features of a building, advising on necessary maintenance, repairs or renovation. Construction Surveyors: Trained to oversee large construction projects, like housing estates or office blocks. A dedicated commercial firm will be able to offer surveyors in more than one discipline, and advise you on the best options for your exact property. Go forth and conquer!